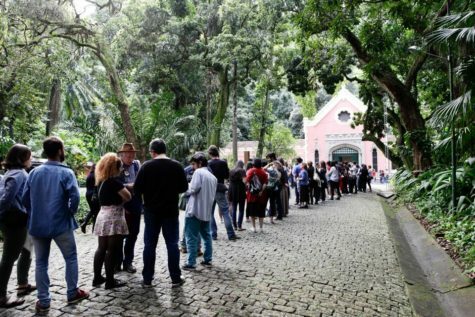 An exhibition of queer art in Brazil that was shut down after conservative complaints reopened this weekend at Rio de Janeiro’s private School of Visual Arts of Parque Lage to large crowds. Queermuseu, which includes works by artists like Lygia Clark and Adriana Varejão, was removed from the Santander Cultural Center in Porto Alegre last year. The show was among a string of incidents of censorship condemned last October in an open letter by Brazilian artists and art professionals, who complained of “the rise of hate, intolerance and violence against freedom of expression in the arts and education” in the country. It was revived thanks to one of the country’s biggest crowdfunding campaigns, which raised more than $250,000—far more than the stated goal of $5,600.